The trend of gaming smartphones is slowly being recognized by other manufacturers. The sub-brand of Huawei, Honor, started launching devices that were targeted to those who display a penchant towards high-performance gaming sessions on smartphones, and it looks like on October 16, the Chinese giant will have a surprise for us. While we are expecting that the Mate 20 and Mate 20 Pro are going to be announced, we should also prepare ourselves for the upcoming Mate 20X, which is expected to feature powerful internals and a massive battery thanks to its large display. Though Huawei’s Twitter account teases a gaming smartphone that shows the device will be able to last longer, possibly thanks to a bigger battery capacity, the thread of the tweet showcases more details. The Huawei Mate 20X is expected to be unveiled alongside the Mate 20 and Mate 20 Pro and in terms of sheer size, the Mate 20X is expected to eclipse all other devices sold under the Huawei brand thanks to its 7.21-inch OLED screen. The resolution of the upcoming smartphone according to the leaked information is 2240 x 1080. We believe that just like the remaining two handsets getting unveiled, this one will be armed with a Kirin 980 SoC. Additionally, this handset should also provide support for Huawei’s GPU Turbo technology, along with featuring up to 8GB of RAM and ample amounts of internal memory. The larger size of the Mate 20X means that it will inherently be able to carry a bigger battery, but the presence of a second-generation NPU courtesy of the Kirin 980 and OLED panel will also contribute to that battery endurance. 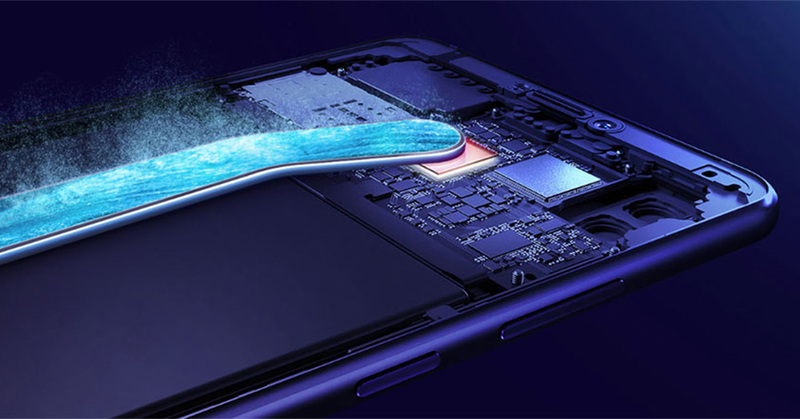 What is more important to note is that the latest teaser shared by the company might also be revealing the tale that the smartphone will boast an advanced cooling solution to allow the CPU and GPU to run at their default frequencies without throttling. It is certainly going to be an exciting launch day on October 16 and we will be providing you timely updates during the announcement. What do you think are going to be the top selling points of the Mate 20X? Tell us your thoughts down in the comments.